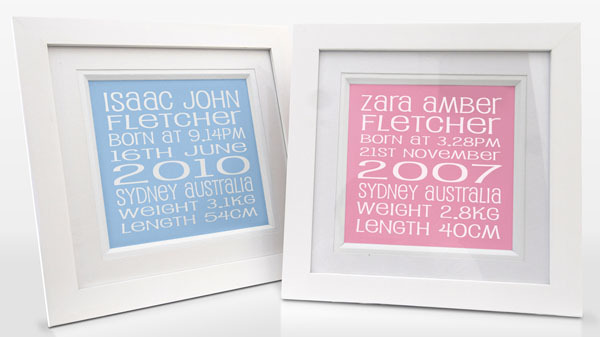 Personalised gifts can’t be beat for a new baby. Months and months are usually spent agonising over the perfect name, so it’s a given parents will love to see it in print for everyone to admire. 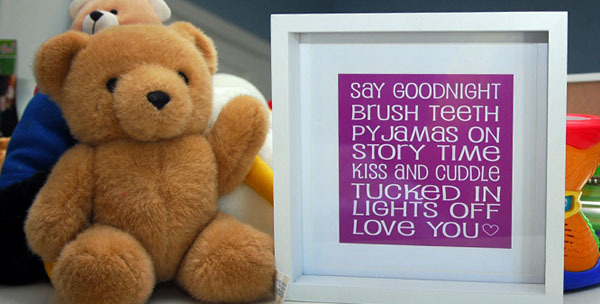 Want to know where to find a superb personalised gift that won’t break the budget? Go straight to Typoart. Little Ones personalised name plaques are completely custom printed, giving you up to ten lines to fill with important birth details or a super sweet message. There is a rainbow of colours to choose, from the softest of neutrals to the brightest of pinks and darkest of blues. All three sizes come framed ready to give or hang, which I love since it doesn’t involve hunting for weeks for the perfect frame. Typoart offer an amazing twenty-four hour turnaround and ship within the week, so it’s not long before you’re holding the delightful end product in your hand. To order your unique Little Ones print from $45, head on over to Typoart who will ship very quickly to wherever you are in Australia.